Change things up with these side-trips from New Delhi: Gurugram (Gurgaon) (Cyber Hub & Sai Ka Angan Temple). Next up on the itinerary: admire the natural beauty at Humayun's Tomb, let your taste buds guide you at a local gastronomic tour, steep yourself in history at India Gate, and make a trip to Gandhi Smriti. To find where to stay, other places to visit, photos, and tourist information, go to the New Delhi visit planner . Reykjavik, Iceland to New Delhi is an approximately 16-hour flight. You'll lose 5 hours traveling from Reykjavik to New Delhi due to the time zone difference. Traveling from Reykjavik in August, things will get much hotter in New Delhi: highs are around 40°C and lows about 31°C. You'll have a few hours on the 18th (Sat) to wrap things up before traveling to Colombo. Change things up with these side-trips from Colombo: Negombo (Nature & Wildlife Tours, DIANA Souvenirs, & more). Next up on the itinerary: make a trip to Kelaniya Raja Maha Vihara, look for gifts at Luv SL, stroll through Viharamahadevi Park, and enjoy the sand and surf at Mount Lavinia Beach. 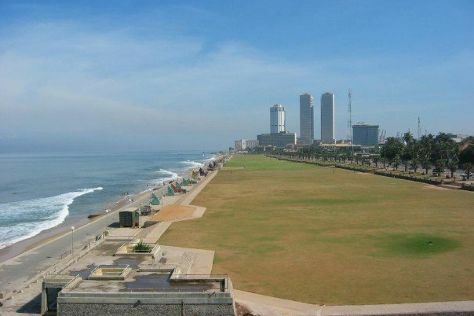 Plan my day in Colombo using traveler tips and tourist information provided by Inspirock. Traveling by flight from New Delhi to Colombo takes 7 hours. When traveling from New Delhi in August, plan for little chillier days and about the same nights in Colombo: temperatures range from 36°C by day to 30°C at night. Wrap up your sightseeing on the 24th (Fri) to allow time to travel to Beijing. 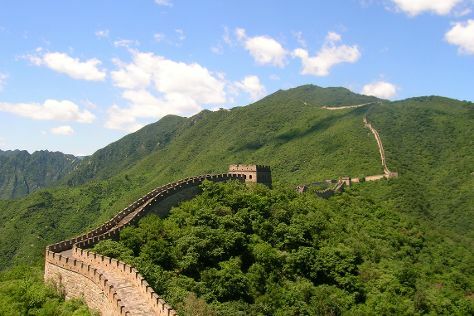 Beijing is known for historic sites, museums, shopping, nightlife, and parks. Your plan includes some of its best attractions: see Mutianyu Great Wall, get in on the family fun at Olympic Park, take an in-depth tour of The Palace Museum, and step into the grandiose world of Summer Palace (Yiheyuan). For ratings, photos, more things to do, and tourist information, use the Beijing route builder website . Fly from Colombo to Beijing in 12 hours. Alternatively, you can do a combination of train and flight; or do a combination of bus, taxi, and flight. The time zone difference when traveling from Colombo to Beijing is 2 hours. Plan for a bit cooler nights when traveling from Colombo in August since evenings lows in Beijing dip to 24°C. Finish your sightseeing early on the 31st (Fri) so you can travel back home.